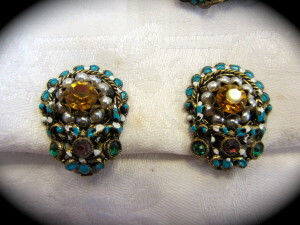 « Eisenberg Original Fur Clip Chunky Rhinestones! 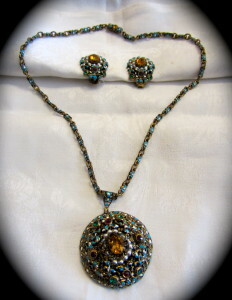 Vintage Amourelle Necklace and Earring Set. Amourelle was a division of Kramer Jewelry Creations New York. Frank Hess of Miriam Haskell fame formed this collaboration with Kramer in 1963. Very few pieces are around as the partnership only lasted a few years. 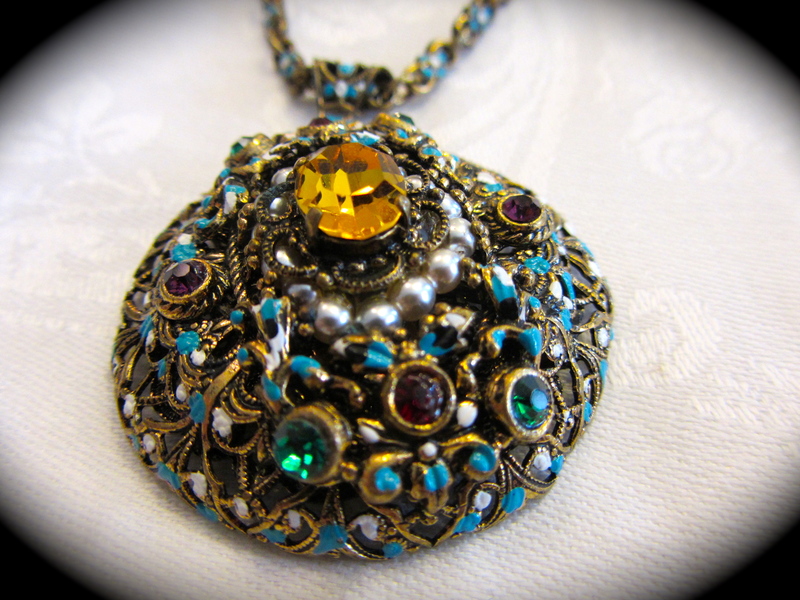 The necklace has a large pendant that measures 1 3/4″ in diameter. 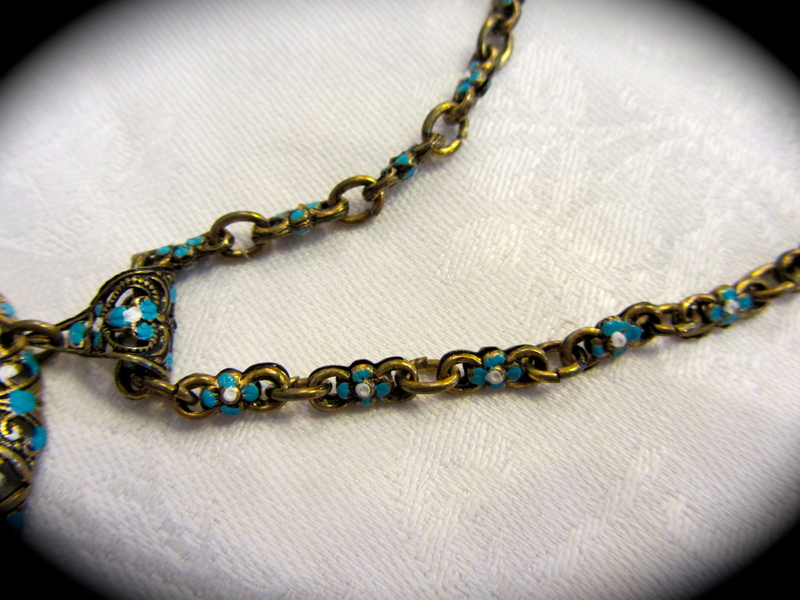 The chain is 17″ long. The detail to this is outstanding! The gold tone metal has a blue and white enamel flower in-between each link. 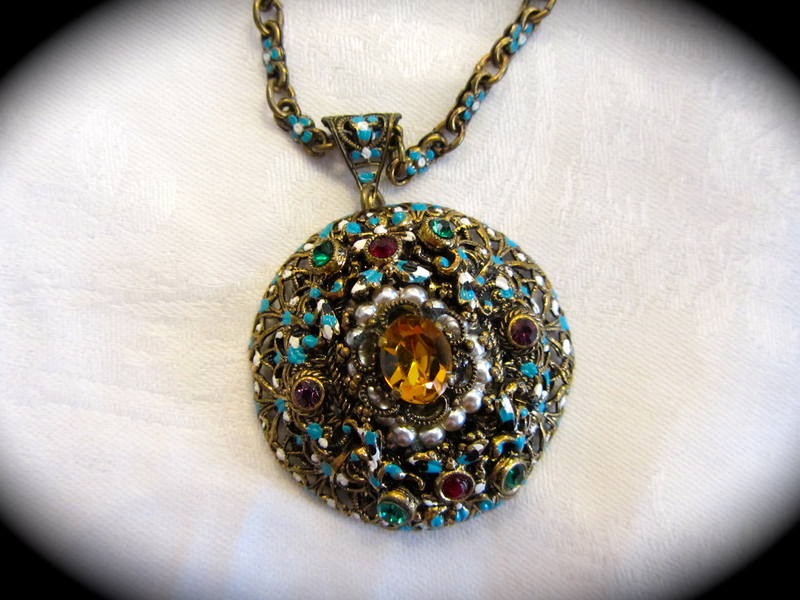 This blue and white enameling carries on with the pendant, along with green, red, purple, and one larger amber rhinestone. The amber colored rhinestone is raised in the center and white seed pearls surround it. 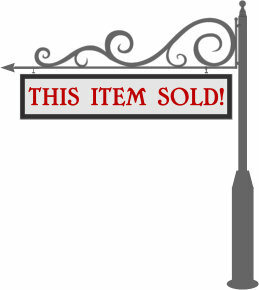 The earrings are very similar to the pendant. 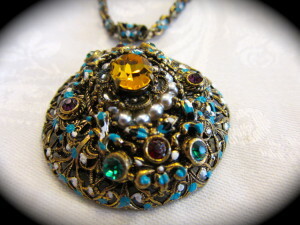 There is the one larger amber rhinestone in center surrounded by the pearls. The rhinestone above are purple and green. These are clip style earrings. The earrings are marked: “Made in Western Germany” on the clip. 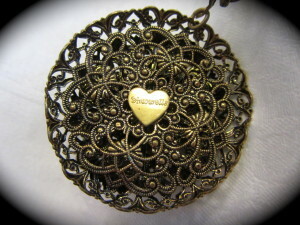 The pendant has the heart shaped plaque that reads: “Amourelle”.